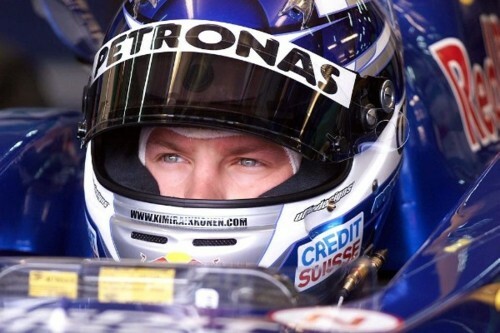 Who is F1's real comeback king in 2012? It was just like Formula 1 had rolled back the years at Valencia last Sunday. There was the wily old fox Fernando Alonso at the top of the podium after a stirring and emotional afternoon in front of his home fans that left him struggling to hold back the tears. Alongside the Spaniard were not a couple of F1's new wave of youngsters, all chomping at the bit to try and knock the establishment off its perch, but instead it was the establishment itself: with Kimi Raikkonen and Michael Schumacher rewinding the clock a little bit for a flashback to Magny-Cours 2005 when the three men – looking a bit more youthful – were up there in the same positions spraying the champagne. 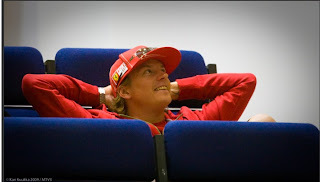 After finishing third at the Spanish Grand Prix last month, the Finnish driver Kimi Raikkonen, the 2007 world champion, was asked in the televised post-race press conference to discuss the race in his native language, as is the custom. “Happy Mother’s Day to all of the mothers in Finland,” Raikkonen said in Finnish. There was a pause as the questioner expected more. But it became clear that the driver known as Iceman for his cold demeanor, nerves of steel and few words, had completed his statement. 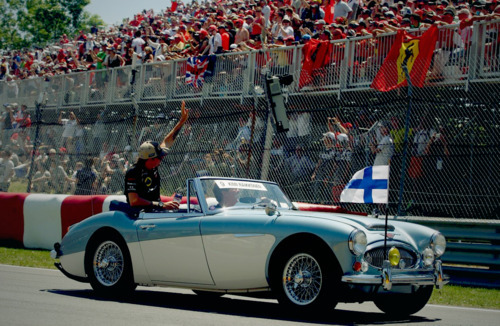 It was more than just typical Raikkonen. It was a defining moment of the return to Formula One of one of the series’ least expressive champions, after two years’ absence. 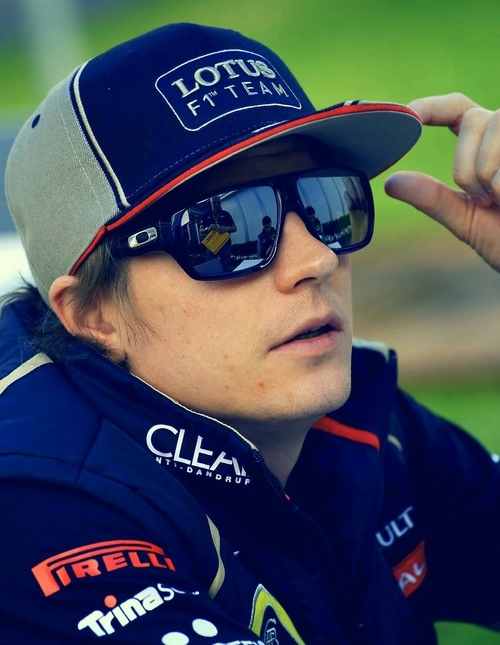 But in his own way, it was a precise expression of his current sentiment: Raikkonen has returned to Formula One after leaving at the end of 2009 to take up rally racing, and he has found himself with a Lotus racing car that can win races. After small problems in the early races, he finished second in Bahrain and then third in Spain, and he felt victory at his fingertips. He has scored points in all but one race, and lies sixth in the series after seven races. Lotus team principal, Eric Boullier has said that they need perfection in order to perform well in the approaching 2012 Formula 1 season. 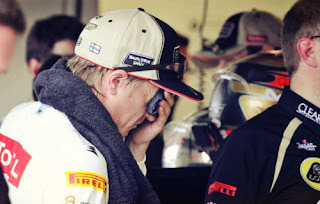 Boullier said that their driver, Kimi Raikkonen struggled with some issues during the qualifying which hindered his performance in the Canadian Grand Prix held at Circuit Gilles-Villeneuve in Montreal on June 10. Afterwards, Raikkonen could only secure 8th place finish in the race after setting off from 12th grid position. Additionally, he said that his DRS did not provide the expected boost in the pace of his car due to which he failed to make further progress. Nevertheless, Boullier said that they are targeting to improve their performance in each and every area while he said that their main focus is to come up strong in the qualifying so as to secure competitive grid positions in the races ahead. Michael Schumacher did not become F1's seventh winner of 2012 in Canada, but his boss Ross Brawn is hoping Valencia is a case of 'lucky eight' for the seven time world champion. Brawn, Mercedes' team principal, admitted it is possible the sport's unprecedented run of new and different winners this season could continue on Spanish streets this weekend. "I'm thinking of Michael in our car," said the Briton, "but the Lotus is good and they haven't won, while Sauber have put in some great results too." Pirelli has been either credited or blamed for the results 'lottery' so far this year, and the tyre marque's Paul Hembery also tipped Schumacher as the potential eighth winner. "He probably would have won at Monaco, so why not here?" the Pirelli motor sport director is quoted by Auto Motor und Sport ahead of the European grand prix. 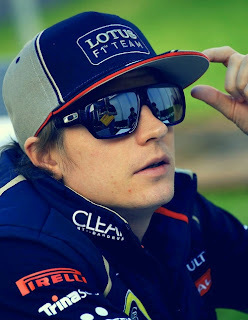 Another hot favourite is Lotus' Kimi Raikkonen, although his teammate Romain Grosjean has been at least as impressive as the 2007 world champion. "I've never won in Valencia," said Finn Raikkonen, "so it's a good target." Fellow Finn Heikki Kovalainen agreed that a bet on Lotus would be well placed. "Yes, Lotus have been in good shape but so far they just haven't quite put everything together," the Caterham driver told the broadcaster MTV3. 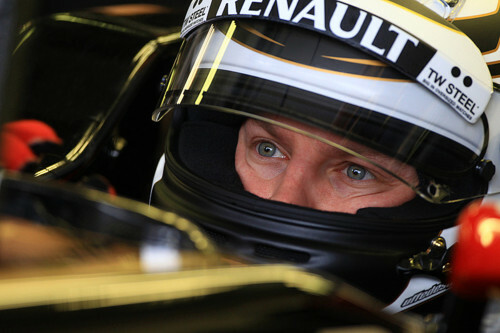 "Romain Grosjean has driven well so he is definitely putting up a good fight to Kimi," added Kovalainen. 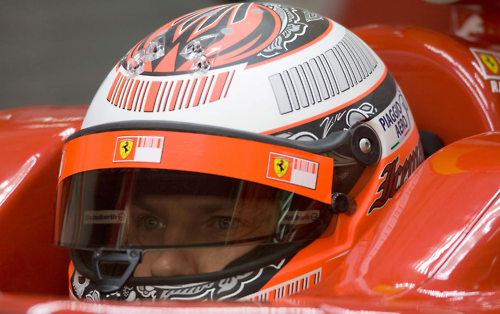 He also tipped Schumacher as a potential 2012 race winner. "He has been quite fast in many places, but very unlucky on the technical side -- he has had six or seven different problems," noted Kovalainen. The great German is therefore surely out of the running for the title, but there remains a swathe of candidates within a handful of points or a victory or two of true contention. "This championship is going to be won on consistency and it's easily possible that the world champion will only have one or two race wins," admitted Sam Michael, the sporting director at title leader Lewis Hamilton's McLaren team. "You won't need to win five or six grands prix to win this year's world championship," he is quoted by Sky Sports. Boss Martin Whitmarsh agrees: "Whereas in previous years there was an emphasis on the 'big' results, this year it seems that minor points placings could provide a decisive edge in the title battle." Well, it was a third time we managed to get quite close to the first place. But close is not enough. Obviously, we have the car to win races, but so far we have lacked some small things to get everything pecfectly together during the whole Grand Prix weekend. I really enjoyed the race in Valencia. It was pure action every lap. It was a shame I’ve lost places after both starts. More or less I’m quite satisfield with the rest of the time in that long and hot race. The Spanish June welcomed us in the most expected way. The weather was hot and humid. Just as we like it the most. After two not that good qualifying sessions this time we had quite nice run. Everything went according to our plan until Q3. Then somehow the first set of new tyres didn’t work that well. We lost the best of the first attempt and didn’t gain the advantage we were looking for of two runs with new rubber. P5 was still ok. We had a good start off the line, but then the first corner didn’t work out that well. I’ve got blocked by Maldonado and, instead of, gaining two places, I lost two places. Obviously, on the street circuit, that means loosing some time while you’re stuck behind the slower cars. Step by step we came through. Then the safety car changed the race dramatically. The re-start was again a setback. I made a mistake and Hamilton got pass me. We were much faster compared to McLaren, but there was not speed enough to attack. If I could have done it, I would have tried immediately, but we had to wait, until Hamilton’s tyres were finished and just then go pass him. That was only three laps before the chequered flag, so it was all we could achieve. Being second felt good, but not as good as winning would have been. Returning to the podium in Valencia after three years was nice. It was good to have a short chat with Andrea Stella, who used to my race engineer at Ferrari and congratulate him for winning the race with Alonso. Obviously, we have a good fight with Ferrari in the constructors’ championship. 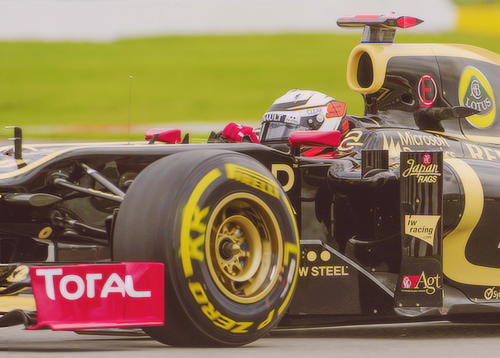 It was a pity Romain had to stop, because the team could have doubled the points. Now the fight continues in Silverstone. Now it’s any time at all! Kimi Raikkonen is confident that he can claim his first win of the season at next weekend's European Grand Prix in Valencia. 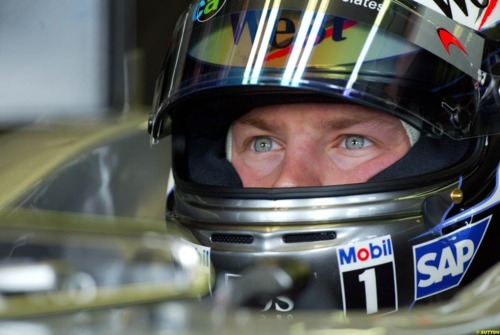 The Finn returned to Formula One with Lotus this season following a two-year break from the sport and, after a string of impressive performances, sits sixth in standings. 2012 has been one of the most unpredictable seasons in history and so far there have been different winners in each of the seven races. The 2007 world champion admits he is desperate to add his name to the list and believes the Valencia circuit could be perfect for him. "I love winning and that's what I'm always trying for," Raikkonen said. "I've never won in Valencia, so it's a good target. "Last time I raced in Valencia I finished in third after starting from sixth on the grid which was not too bad." Lotus team principal Eric Boullier insists there is no sense of mounting frustration at his outfit, despite another weekend where it failed to deliver on its full potential. The pace of Romain Grosjean and Kimi Raikkonen in the British Grand Prix suggested the car had the potential to fight the Red Bulls and Ferraris for victory - but both men were too far down the order to make the most of their chances. Raikkonen's efforts in qualifying were compromised by a KERS problem that cost him lap time, while Grosjean had a spin in Q2 and then damaged his front wing on Paul di Resta's rear tyre on the opening lap. 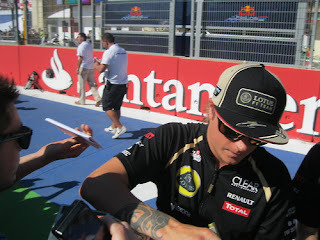 Although both men recovered to finish fifth (Raikkonen) and sixth (Grosjean), their pace suggested that more could have been possible if Lotus had got everything right on each day. But Boullier says that despite the fact the team could be left ruing another opportunity slipping through its fingers, he says there is no annoyance at what is happening. "I have to say there is absolutely no frustration," Boullier told AUTOSPORT. "It's just the ninth race of the season. There are 11 races to go, it's going to come. Every race we are there, so it's going to come." Boullier remains convinced that Lotus just needs to sort out qualifying to finally be able to deliver on its quick car in the races. "We needed better qualifying from both cars actually," said Boullier, looking back at the British GP. "If we had put the tyres on earlier, maybe Kimi would have qualified better - in the top four - and starting in a higher qualifying position would have allowed us to win this race. And this is definitely the key. "Again, our guys are fast in the race. We build up on a good strategy, but if we don't qualify better we won't be able to be stronger in the race." He also thinks that qualifying further up the grid will minimise the chances of his drivers getting caught up in incidents - as has happened to Grosjean a number of times this season. "If you start lower you cannot help getting involved in these issues," he said. "Each one was a different incident, with different reasons." Lotus F1 Team secured another podium finish thanks to a searing performance from Kimi Räikkönen to finish second in today’s European Grand Prix. The Finn was terrific through the traffic and was able to challenge at the front right to the end of the race. 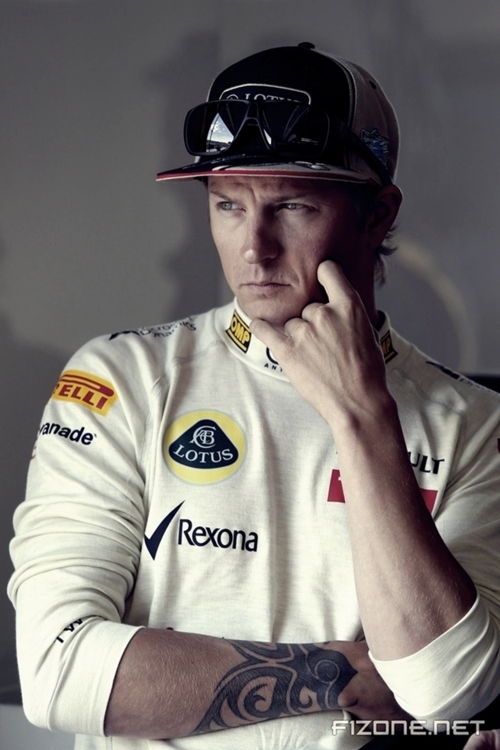 Kimi and Romain are now sixth and seventh in the Drivers’ Championship. The team remains third in the Constructors’ standings ahead of Ferrari, despite being the 11th team in terms of race laps completed this year. Lotus F1 Team still holds the second highest total in terms of podiums this year (5), behind McLaren (6). Kimi is now the driver to have contested the greatest number of laps this season, along with Fernando (Alonso) and Nico (Rosberg) : 498 in total. 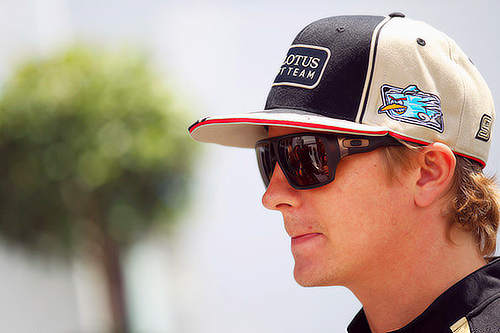 Kimi sits third in terms of podiums clinched this year (3), behind Lewis (Hamilton) and Fernando (Alonso) with 4. Kimi stopped on lap 14 for more used softs as did Romain two laps later. Both drivers changed to new medium tyres under the safety car on lap 28. Obviously, I like Spain. I have won twice in Barcelona, and I’ve been on the podium in Valencia, so there are some good memories to continue. I have never raced with Lotus in Valencia, so in a way it’s a brand new adventure for me, like every single Grand Prix weekend this year. The circuit is all about the corners, there are some straights, and it’s generally taken quite challenging weekend ahead, again. With so many corners you have to be very consistent, while the smallest error will hurt your lap time substantially. I have raced twice in Valencia, and ever since the weather has always been good. It should be hot again, and that would suit our car very well. As a team we like the Hot Stuff of this season! We have been working hard with the qualifying settings. 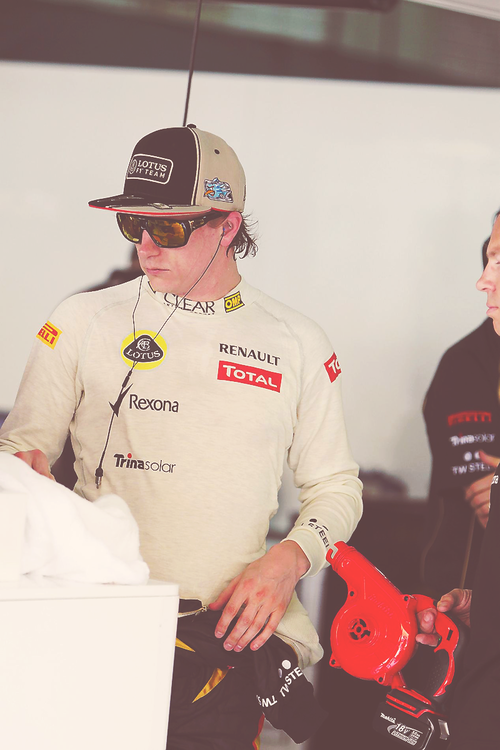 The boys at Enstone have done long days to get things going better in one lap, too. We know it has been our weekest point, and that has kept us from challenging the top positions in the starting grid. I just wish to have finally one normally going weekend from P1 on Friday morning to the finish of the race on Sunday afternoon. The circuit itself is not that difficult compared to Monaco. There are a few straights, but still, it’s one of those places, where overtaking is very tricky, if not impossible. That means the qualifying being very important, but still keeping in mind the race gives the points. That’s our target - to keep on going well with the race distance. The hotter it is, the better it is for us. Now we can leave the issues with the supersofts, and focus on the soft and medium choice from Pirelli. Obviously, the surface and the hot weather will bring the challenge of its’ own kind for this race. It’s the same for everybody, and whoever gets it right, will do well and will catch good points. Let’s wait and see, what we are able to do. As a team the effort is at the highest level, while we try our very best to carry on strongly in the constructors’ championship, too. To finish eighth was not, what we were looking for in Canada. But if you start from P12 and gain four places before coming to the chequared flag, you didn¹t waste the whole afternoon for nothing. Obviously, we would have needed a more normal weekend. It all went wrong on Saturday. The car was OK in the morning practise and we were expecting to fight for a place in the top 5 of the grid. The issue with the hydraulics gave some signs already on Friday. Then it came back during the qualifying session. The differential was not working properly, and, for sure, that¹s bad with the wheel spin, while you have to get everything together in one lap in Q2. We tried, but lost a little bit to qualify further, and that was position 12 in the grid. It¹s not as bad as it would have been in Monaco, but close, enough. It¹s a shame to know it now afterwards. The circuit has the straights, but the DRS zone was not the whole straight. It¹s not a simple place to overtake. That¹s how people were stuck behind the slower car and you just cannot do enough to improve your position. We raced against Rosberg, and lost the position there with the pit stops. We would have needed to gain 1-2 seconds somewhere to do better after our pit stop. Now we didn¹t have that second and I felt every time somebody came back from the pits, he just got in front of us. Obviously, that was frustrating to experience, but that¹s how it goes sometimes in racing. It was not our day, that¹s for sure. After the pit stops I tried a couple of times the overtake Webber, but the Red Bull was extremely quick exiting the corner and I just could not get close enough in that straight. Well, we finished again and got some valuable points. Although we were not that happy with the race, the team had a real nice time and Romain got a fine podium finish. Obviously, I would have needed to be in Q3, too, to have a chance to get better result, as well. Now we return to Europe. The car showed the potential is still there. Let¹s wait and see, how the weekend goes in Valencia. We can improve, and that is an encouraging starting point! Don’t get over excited by the promos that offer you a great new car at a very small price, usually it’s just a trick to get your attention. You’ll waste time and eventually some money if you fall for it. Instead try the salvaging auto market. It’s the best way to keep your expenses low and get the best car possible. And don’t even think that it’s not near you or you don’t have the experience for buying a car from it. It’s actually easier than you think. Detroit auto auction with a wide choice of cars can be the best solution if you live in this state, their cars are great and the prices are lower than you’d imagine. Portland auto auction has a great selection as well and you’d be surprised to see what amazing cars you can find here. don’t forget that this market is great for guys that want vintage models, with a bit of work you’ll manage to restore real masterpieces. It’s an amazing feeling to find a car in a better or worst state and restore its original value, it will be both rewarding on financial way if you decide to sell it but also on an emotional level. Cleveland auto auction can offer you the same range of great cars at low prices. So why would you pay triple the price from what you can get at a auction market specialised in auto sales? Trust me this is the future for us, not only because the prices are low but also because of the quality. It’s true some of the cars may not be in the best shape but if you are skilled you will get the best out of every car. And you can sell it later and get a considerable profit if you later sell it. Lotus technical director James Allison said that the team will have “some interesting new updates” for the German Grand Prix. After its two cars finished fifth and sixth at the British Grand Prix, Lotus climbed above McLaren in to third place in the constructors’ championship. Now just eight points behind Ferrari in the battle for second, the team’s bringing more upgrades to Hockenheim which Allison admits he is looking forward to testing. 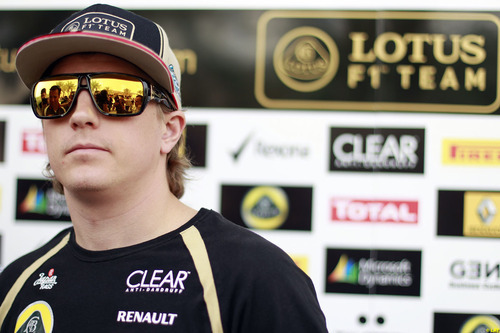 Kimi Raikkonen expects Lotus to be strong, saying that he feels the team can at least challenge for the podium. “We’ve got a good car, we understand the tyres quite well, we’ve shown that we can be fast and race well… there’s no reason why we shouldn’t be fighting for another podium. Kimi Raikkonen could have succeeded in the WRC if he had stuck at it, that's the view of his former co-driver Kaj Lindstrom. Raikkonen took the decision to switch to the WRC in 2010, but at the end of last year the Finn called time on his rallying foray and opted to return to F1 with Lotus. 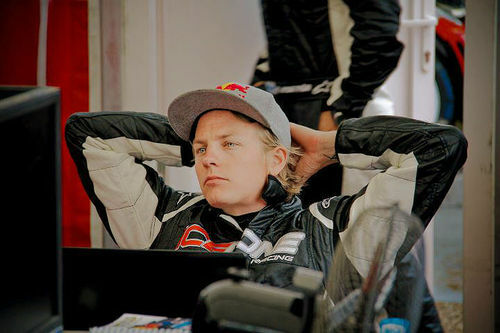 During his time in the WRC he managed a number of top-ten finishes, his best result coming in Turkey when he was fifth. 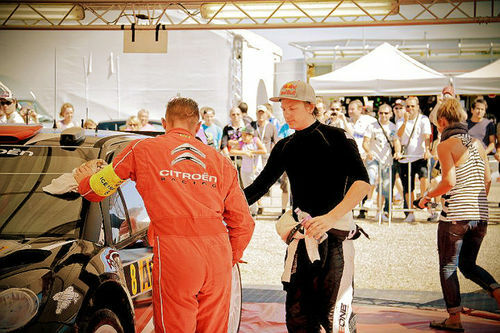 “It would have taken some time but he would have made it,” Lindstrom told the official WRC site this week. 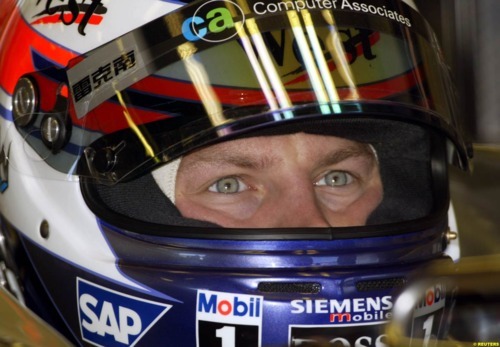 “All his career he has been racing himself on the circuit and driving with his eyes. In rallying you can't drive with your eyes, you have to rely on your pace notes and to learn that way of thinking would have taken some more time. “It was good to race with him, though, and I enjoyed it very much, he's a nice person and it was fun. “But when he started to talk about returning to F1 I know that's his world and rallying was just a hobby for him so it's understandable he went back. The Hethel-backed outfit were among the front runners all weekend in Valencia, with Romain Grosjean in serious contention for victory until an alternator failure left him – and race leader Sebastian Vettel – on the sidelines. Those European Grand Prix retirements left the door open for Räikkönen, but he was held up by Lewis Hamilton to the point that victory was beyond his reach. Instead, Fernando Alonso saw out a superb and emotional home victory – although it was not enough for Ferrari to replace Lotus at third in the constructors’ championship. Yet it is clear what continues to bug Räikkönen. “Second place is OK but the win is what I really wanted,” said the Finn. “We didn’t quite have the pace for it today. I got a good start but I was blocked by Pastor (Maldonado) at the first right-hander and lost quite a few places which put me a bit behind. “We made a good recovery from that position and had quite a hard fight with a few people – overtaking and being overtaken. I couldn’t get the tyres up to temperature quickly enough after the safety car, and I made a small mistake on the re-start lap too. However – and understandably – team principal Eric Boullier was happy to take the sizeable positives from the Enstone efforts. “It’s a good result for the team and for Kimi – second brings a lot of points, and we also didn’t lose ground on the teams ahead of us in the championship standings,” said the Frenchman. “On the other side of the coin, it’s been a disappointing day for Romain as he was in such a good position for at least a podium finish. “This is racing, and we will work closely with our partners to ensure we don’t see a failure like this again in the future. The teams travel to Silverstone next for the British Grand Prix, on the first weekend of July. One of the benefits of this economic crisis has been salvaging, you might think it’s not such a great thing but I believe that learning how to benefit from salvaging is crucial for us and our auto industry. Yes it might seem easier to go and buy directly but it is as easier to salvage, think only that salvage harleys are located at yards and the buying process can be even quicker if you find a good dealer. With a little bit of help and direction you will manage to get the product of your dreams at half of the requested price and even lower. It will require work and time, but the end result will astound everyone. A piece like this will forever have a great place in your heart and this isn’t exactly a thing you can buy off the shelf. Also keep in mind that a mustang salvage is cheaper to buy, and when I say cheaper I really mean cheaper - the price can be as low as 60% from the original price. If you are lucky and you search with much attention you can find autos that have a real value on the market after they’ve been salvaged. Motorcycle salvage auction is also a great deal for someone that is willing to work a bit more after purchasing the item. These pieces need different levels of work but usually you will never invest more that in a normal salvaging operation. Salvaging might seem harder to do but on the long run you’ll see that this type of transaction will help you benefit from a better price and also a better product. No one will try to salvage a bad product instead they will focus on an item that has a great value and that can transform itself into a real vintage treasure. Kimi Raikkonen has blamed a lack of wet weather tyres for limiting running today in practice for the F1 2012 British Grand Prix. Raikkonen did just 6 laps this morning in P1 and 8 tours this afternoon in P2, finishing the day twelfth overall on the combined times. “It was wet. It's a shame we don't have more wet tyres to be able to get more track time, but if it's going to rain for the whole weekend then everybody tries to save their allocation,” explained the Lotus driver. “We were able to test certain things so it wasn't a total waste of time. It was interesting to see the new section of the track; it's only a few corners so it doesn't make too much difference to a lap. Hopefully tomorrow the weather will be a bit better. Team-mate Romain Grosjean meanwhile took a different approach to the day, setting the pace in P1 and notching up 13 laps. However this afternoon he failed to set a time and spent virtually all of it in the garage, again to preserve tyres. “It wasn't the busiest day ever due to the weather conditions but still FP1 went well. The car looks to be good and consistent. We tested a few new aero parts which have worked pretty well. I also learnt that the old part of the circuit has a bit more grip than the new part. At the end of FP1 this morning it was incredibly wet and the same conditions at the start of FP2 so we had to wait and be patient," he added. “I would have liked to have more track time but due to the regulations on tyres we didn't want to use up all our wet tyre allocation as more rain is expected on Saturday and Sunday. We looked at putting inters on but it wasn't dry enough so we couldn't really do many laps this afternoon. I don’t know, maybe I did something bad in a former life? 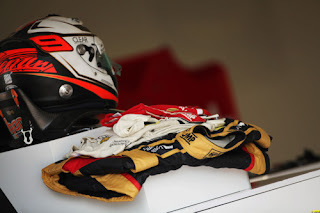 He’s never won in Germany – whether in the European Grand Prix (held in the country some years ago) or the German Grand Prix itself – the latter of which has seen Kimi Räikkönen retire no less than six times in his career. 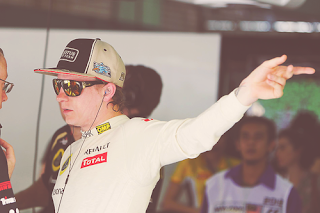 Can this finally be the year for the Iceman to run hot at Hockenheim? Do you have everything you need to be successful at Hockenheim? Kimi Raikkonen: Yes. We’ve got a good car, we understand the tyres quite well, we’ve shown that we can be fast and race well… there’s no reason why we shouldn’t be fighting for another podium. What is it about Germany that hasn’t been kind to you in the past? KR: I don’t know, maybe I did something bad in a former life? I’ve always enjoyed driving in Germany, but the problem is that luck has never been on my side there and something has always happened to stop me winning. I’ve had four pole positions which shows my speed on German soil, but six retirements haven’t been what I wanted. Does it set you more of a challenge having raced in Germany fifteen times but never taken a win? KR: Not really. A race is just a race and you always try to do your best. In the past, the races I’ve contested in Germany have never gone as I had been hoping for. Obviously both circuits – Hockenheim and the Nürburgring – have not been very kind to me. I like them both and I have always been very competitive there. Maybe it will all come together this year. Looking back to Silverstone, the E20 seemed to be going well? KR: We were really quick on the hard tyres, especially at the end of the race. It’s just a shame we didn’t have the space on track to use it for the whole race as unfortunately I spent quite a lot of time stuck behind slower cars so we couldn’t show our full pace until we were in clear air. We were close to Felipe [Massa] at the end, but we just didn’t have enough laps left to get another position. I was really pleased with the car. It felt good all weekend and we’re definitely getting closer to finding the full speed from it. What do you need for a fast lap at Hockenheim? KR: The car can make all the difference here, and luckily we’ve got a good one. You need good traction out of the corners and if you’re lacking rear grip it’s hard to get the pace from the car to challenge for the top positions. How important is it to qualify at the front? 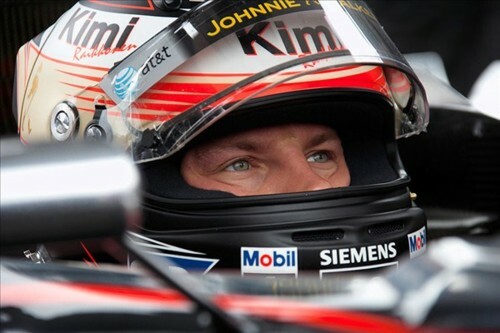 KR: When I was last in Hockenheim in 2008 overtaking was quite difficult. Not as tricky as some circuits, but not easy at all. This year with the tyres, the KERS and the DRS it could be easier to overtake, especially if we are better on our tyres than the opposition. It’s not all about qualifying at Hockenheim, but certainly it makes life easier when you start from the front and have clean air. So a start from the front and clean air ahead; anything else you’d like in Germany? KR: Some hot weather would be good. Usually in Hockenheim it has been very hot and everybody has had problems with the tyres going off. Obviously, for us, the hot weather suits the car fine. Our car prefers the hot temperatures and in the long runs it’s not that hard on tyres. Let’s have some real summer weather in Hockenheim. 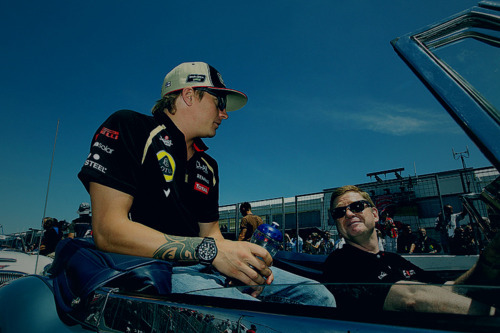 Lotus driver Kimi Raikkonen has said that he wants to win a race in the season ahead after securing an inspiring second podium finish in 2012 European Grand Prix held at Valencia Street Circuit on June 24. 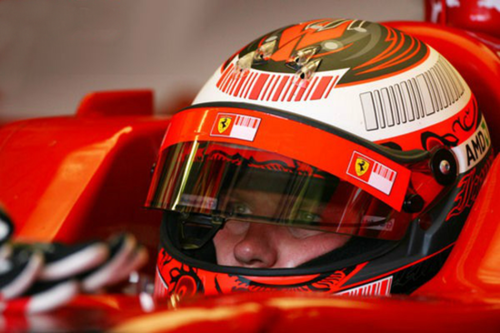 Raikkonen has performed quite convincingly in the season until now and has secured three podium finishes. However, he insisted that he wants to achieve more and is positively looking forward to claim victory in the forthcoming races with his competitive car. 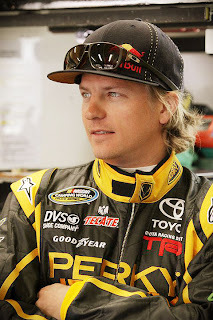 The Finnish driver is presently standing at 6th place in the drivers’ championship with 73 points. 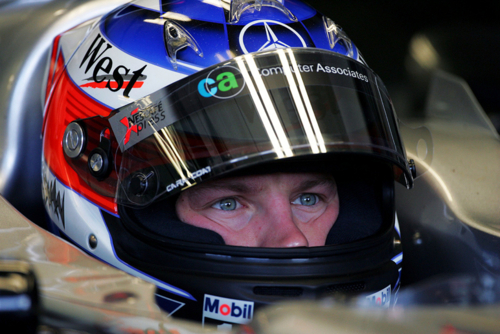 Moreover, he is 20 points ahead of his teammate, Romain Grosjean and just 2 points behind Nico Rosberg of Mercedes. Furthermore, he said that he is targeting to perform well in the British GP which is to be held at Silverstone Circuit on July 8. 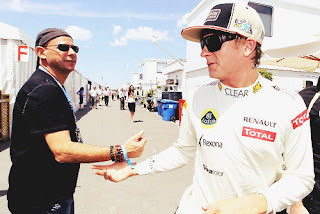 In addition, he expressed his views about his sound affiliation with the track of the next race. “When you win in Silverstone, it gives such a good feeling. You have to get everything exactly right. 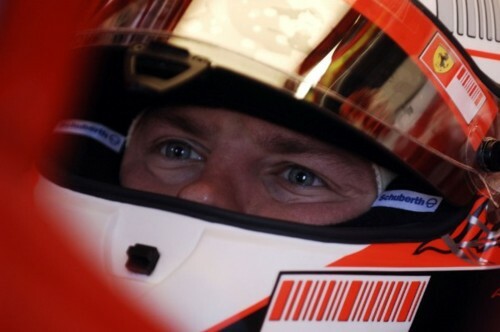 I won there in Formula Renault and then with Ferrari in 2007,” he said. The Enstone based team has emerged as one of the most competent teams in this year’s championship and are presently standing at third place in the constructors’ championship with 126 points. Besides, they are 11 points behind McLaren and 4 points ahead of Ferrari. It will be important to note that the current season has been quite unpredictable so far and the Spaniard, Fernando Alonso of Ferrari is the only driver who has won two races. Over and above, it will be quite interesting to see how the season will progress for all the contenders. Kimi Raikkonen says that he did not have enough speed during the European Grand Prix to claim his first victory after his comeback. Valencia GP turned out to be a scintillating race. The unpredictability of the season was best personified in during the European GP as Sebastian Vettel who looked to be the sure shot winner of the race after he took a huge 20 second lead over the second placed Lewis Hamilton. An altercation between Heikki Kovalainen and Jean-Eric Vergne caused the safety car to come out and Vettel's lead was nullified. Later Vettel's car had a technical fault and the German had to retire. Hamilton took the lead from Vettel and Raikkonen was in at third in the final stages of the race. There were mixed emotions for the two Lotus drivers following the European Grand Prix, with Kimi Raikkonen driving excellently to finish second after watching team-mate Romain Grosjean drop out of the race because of mechanical problems. Grosjean was second, and well-placed for an assault on leader Fernando Alonso, when his car ground to a halt on lap 41. "We were very close to the win, and it was nice to fight with Fernando," said Grosjean, who was clearly disappointed not to register the first grand prix victory of his career. "We had an almost perfect race until that point. There was an alarm on the steering wheel and the team tried to look at it but there was nothing they could do. "I knew we were quicker than the Ferrari, tyre degradation is better on our car and I was going to try and catch him when he struggled. "But there are 12 races to go and there are plenty of positives to take." Grosjean's misfortune on lap 41 allowed Raikkonen to mount a challenge of his own and, despite picking off Lewis Hamilton late in the race to edge into second, the Finnish former world champion was still not happy with his result. Kimi Raikkonen on Thursday brushed aside all thoughts of mounting a title challenge for Lotus this year and said he is taking each race as it comes. Speaking on the eve of opening practice for this weekend's British Grand Prix , the Finn said he felt Lotus were now on course to be challenging for the front row in qualifying and could fight for victory. "There is still an awful long way to go and we see closer to the end of the season where we are. We are still not in the best possible position but we are not too bad. "We just need to keep doing what we are doing, and try and avoid the bad races and hopefully we can keep ourselves there until the end of the season for it to be a possibility." The Finn is currently sixth in the standings with 73 points, only 38 behind leader Spaniard Fernando Alonso of Ferrari , a gap that he could close within two races if he can find the consistency that has eluded Lotus this year. The team has been among the strongest in terms of race pace, but lowly qualifying positions have meant their chances of fighting for victory have been compromised. Raikkonen added: "I think we have had a chance in a few races, but I haven't got the best out of it, and maybe I have made some mistakes. "But in the last race we did pretty well as a team in qualifying and hopefully we felt a bit more comfortable to go in qualifying than ever before, especially at least me. "Hopefully we have started to find the right direction to find those small details where we can be even more comfortable here and in the next few races." He says he is not too disappointed. "We try and it is disappointing if you get second and you want to win, but it is not the end of life," he said. "We try again and we keep trying all the time. I don't get sad about it, but I am not happy because I would rather win than be second. But it is not going to destroy my life. "I have done it before, so it is not something that I didn't achieve. We all want to win, and it will give us more points and make us better in the championships. "It is not the happiest place to be second, but we still take it when it happens." 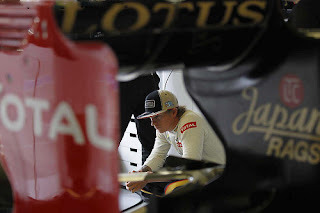 Kimi Raikkonen is hoping to finally end his wretched Germany jinx and provide Lotus with a much-needed and long-overdue victory. In 15 races on German soil throughout his Formula One career, be it the German or European Grand Prix, Raikkonen has never won. 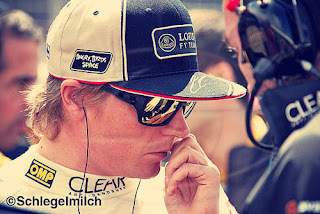 Ahead of next weekend's race at Hockenheim, and with Lotus still the only top team without a win this season, Raikkonen said: "I've always enjoyed driving in Germany. But the problem is luck has never been on my side there, and something has always happened to stop me winning." Worse still is Raikkonen has chalked up nine retirements, which has even led the Finn to jokingly suggest he "maybe did something bad in a former life". 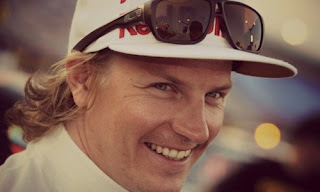 Raikkonen has managed two third places, in the 2002 European race and 2006 German GP during his days with McLaren, but that has been the best of a bad lot. "I've had four pole positions, which shows my speed on German soil, but six retirements (specifically in the German GP) haven't been what I wanted," he added. "Maybe it will all come together this year. We've a good car, we understand the tyres quite well, we've shown we can be fast and race well. There's no reason why we shouldn't be fighting for another podium." Team-mate Romain Grosjean, however, will start the race on the back foot as he will serve a five-place grid penalty for a gearbox change. The issue came to light on the final lap of the British Grand Prix at Silverstone on Sunday after Grosjean had finished a superb sixth despite being last at one point early on. Lotus technical director James Allison said: "It was a gearbox problem, and we are very fortunate Romain didn't have the problem earlier in the race. 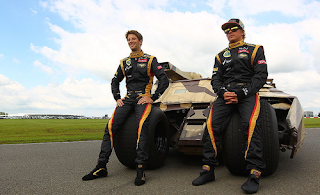 "Unfortunately for Romain it means he'll take a five-place grid penalty at Hockenheim. But he certainly showed at Silverstone that dropping down the order won't stop him challenging at the sharp end." With Kimi Räikkönen F1 is richer of another colourful character. His car control let the fans cheer, his egocentric way the journalists, sponsors and team principles despair. The statement from Ferrari team principle Stefano Domenicali that he lives on his own planet, Räikkönen countered in his usual way. “I like living on my own planet. It’s nice here.” The opinion of others the Finn bounces off ice cold, that’s why his former McLaren team principle Ron Dennis gave him the “Iceman” nickname. On and apart form the track Räikkönen is at full throttle – not thinking about consequences. 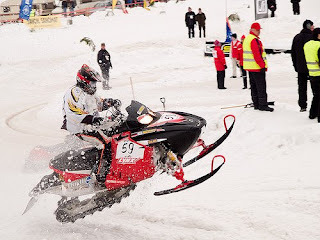 One week after he signed the contract with Lotus he contested a snowmobile race in Austria. Other drivers would have taken it slow to not risk anything – but Räikkönen isn’t any racing driver. 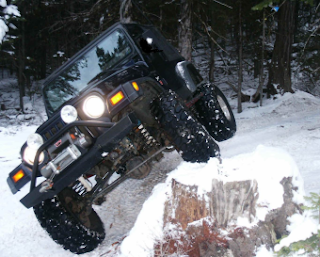 He put the foot down but lost control and crashed into a snow wall. The consequence was a injury on his hand and negative headlines. But that the Finn, who once fell drunk from his yacht or appears as James Hunt in a gorilla costume, knows very well. 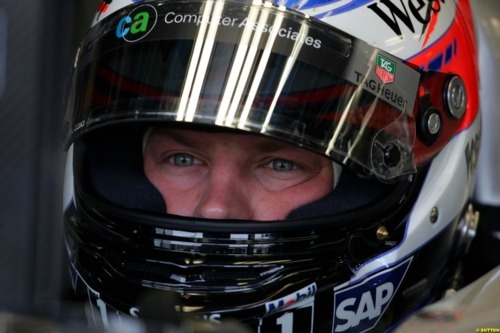 Someone who knows how it looks behind the Iceman mask is his old companion from times at Sauber, Jo Leberer. He tells Motorsport-Magazin who Kimi Räikkönen really is and which moments will stay unforgettable. 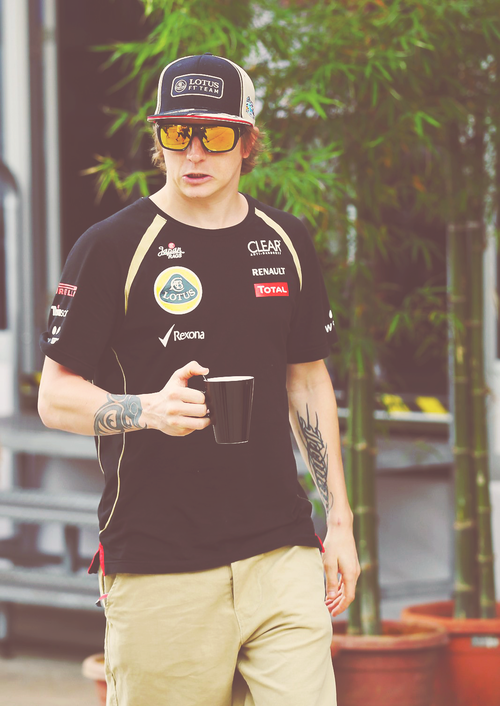 Actually I’m not surprised that Kimi’s comeback went so well. When he decides to drive then it’s clear for me that he has considered this closely. 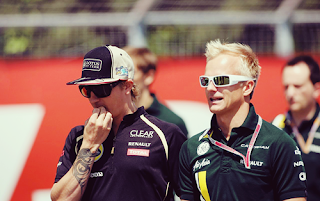 There were many opinions from so called experts about Kimi. When he decided to comeback I got many requests but I let the other say their opinion. Of course I had my opinion and I wondered about those from experts. I know Kimi from the past. He is so motivated, so strong-minded and that he can drive everybody knows. So why he should not drive at the front again? I had no fear cause he didn’t forget anything. 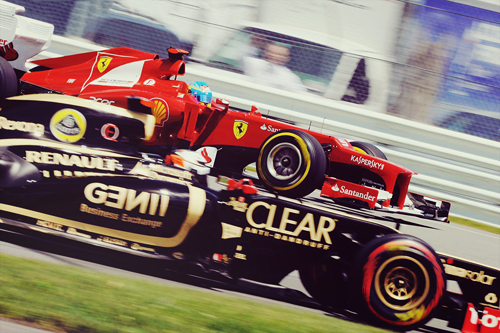 Lotus needed someone who is quick and that is Kimi. Kimi doesn’t have motivation problems. Everybody knows that he lives his life like he thinks it is right. You know where you stand with him. Thank god we have such types in Formula 1, we don’t want retort drivers. That not all drivers are the same, work the same, that makes it so interesting. To his critics I can only say that he is great guy. When he started at Sauber, nobody knew him. We have trained a while together in Filzmoos, there I really got to know him well. I can only base from my own parameters but his approach, his body control, his stamina, his brilliance regarding races, his attention, his strength of will, his discipline, his will power in the sense of that he doesn’t have to accept everything, were right back then already. I knew when he is quick also in the car then he will really successful. That was proved. Shortly after that he went to McLaren – he step you normally don’t do. But Kimi made it. When he came to us we made a list of priorities. He had done only one single seater season, 23 races and then got in F1. That was a big step, then you can’t do the normal preparation program. At Sauber he had this chance. In December he got the licence and in January/February he tested. At the same time we have physically prepared him gradually to the upcoming charges. We have felt one’s way regarding neck etc. A driver can only be at the front when he also physically top fit. In March was the first race and Kimi got with his sixth place his first points already. That you have to imagine. Unbelievable how Kimi appeared already at the beginning. How cool despite the pressure. I thought that some day the nervousness will have to come. Like it was the same for other drivers, even the top drivers. But it never came. Before his first race I massaged him right before and he fell asleep. Half an hour before the start I had to wake him up and he just said: “Jo, let me still sleep a bit. Give me 5 minutes.” You have to imagine, that was before his first race! That’s simply brilliant. This coolness has to be inherent. It was a pleasure to work with him. That was unbelievable as he was far back in the standings. The whole Sauber team was of course happy about his win. On Monday after the race we both flew back to Zurich and he said to me: “Hey Jo, tomorrow we meet in Zurich and celebrate – only close friends, my wife and I want you to be with us.” And that after many, many years – I was very glad. The world champion invites me personally, I couldn’t refuse that invitation. We don’t see each other often but there is a relationship. When you have him as a friend once, you have him always. Although he changed the team and therefore actually was an opponent, the contact stayed. That is nice, that speaks for his character. Q: Who do you think is cool? Brad Pitt, Barack Obama, Homer Simpson? SV: Somebody who lives in his own way. If you follow the footsteps of others you will never leave marks. To judge Brad Pitt, for example, I would have to know him, which I don’t. What I admire is people who are grounded and resistant to all kinds of whisperings. Kimi Raikkonen, for example. You may like him or not, but he lives his way. He does the things he has identified as worthy for him and he is not trying to be everybody’s darling. At least he doesn’t give that impression. SV: Yes. He is straightforward and honest and he tells you if he has a bad day. Period. He is real. He’s not political. He’s never up to something. If he doesn’t want to tell you something he will say so and not hum and haw. He doesn’t beat around the bush, never coming to the point. Designed to showcase Kimi’s unique Mr. Miserable attitude to racing there are a number of different Raikkonen products that will be available from the beginning of July. Starting with the tried and tested T-shirt range, fans can choose from three different shirt designs each with a Kimi catchphrase. Choose from the classic: “I’m a bit disappointed” or “I didn’t win, so it doesn’t matter” or the brilliant and enigmatic, “It is what it is”. In addition fans can buy a special de-motivational DVD. Whereas there are many motivational DVDs on the market, Kimi has spotted the need for a downbeat one that can be given to people who are far too enthusiastic for their own good. 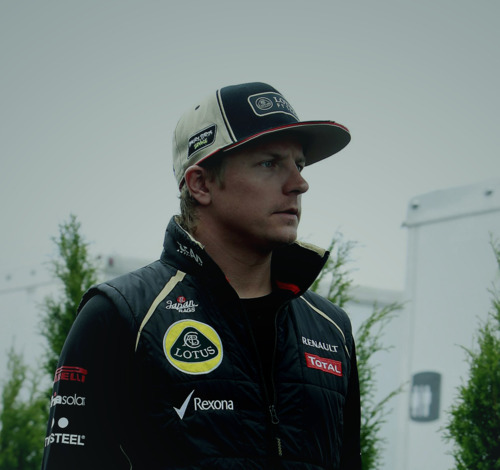 Using his trademark, hacked-off, I’d-rather-be-somewhere-else monotone, Kimi believes he can bring down even the most effervescent door-to-door evangelist. Finally, Kimi has put his name on a new low-energy drink. Whereas Red Bull (promoted by Sebastian Vettel) and Monster (promoted by Michael Schumacher) are caffeine-rich, high-energy drinks that get people buzzing, Kimi’s has the opposite effect. Kimi’s drink makes people tired and sleepy and want to lie down. Kimi has been testing out many varieties over the years to get the blend just right. Early samples suggest it’s actually beer. Kimi Räikkönen rose from twelfth on the grid to eighth at the chequered flag, helping the team move eleven points ahead of Ferrari in the Constructors’ Championship. Lotus F1 Team have now scored more points from the seven races thus far in 2012 than during the entirety of the 2011 season. Kimi Räikkönen suffered a hydraulic issue which prevented him from climbing higher than twelfth during qualifying for tomorrow’s Canadian Grand Prix. How difficult has it been to read the track here? 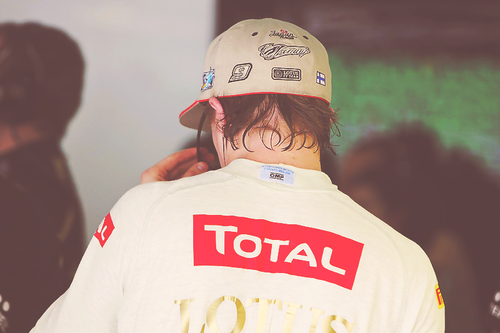 Could Kimi’s hydraulic problem in qualifying carry over into the race? What are the strategy considerations for tomorrow? Monaco is now just a distant memory and everything is charged for Canada. It was a weekend I won't count among the good ones for me. Well, that's racing. Some races are good, some are not that good. Obviously, I knew what was coming on, while we missed the dry training on Thursday. We tried something new, it didn't work out well and that was the reason we have to go back and change almost the whole front end of the car before starting the practise runs. In Monaco all the laps are so important to get the car right. After missing FP1 we were behind the others all way long. It was a painful, of course. Not being able to qualify at your best, it hurts the most while you race in Monaco. Still I expected to be in TOP5. I had one a betterish lap, but then I locked up the tyre in the second part of the Swimming Pool area, and we lost some places there. Then it was P8 in the grid. It was like a ticket to a train, while not being in the front, means usually 'doing the loco-motion' in the race. The start was not that bad, but I ended up behind Vettel and Ferraris in P7. For a while I was faster, but in Monaco that doesn't help you a bit to improve your position - without huge errors from the guys in front of you. Obviously, all of us expected the rain to fall. Lap by lap the supersoft tyres started to drop off, but being aware of the possibility of the water coming down, we waited a while, and then we really started to struggle with the temperatures of the breaks and with the lost grip of the tyres. Finally we decided not to wait anymore, stopped and after that it was just a matter of finishing the race. At least a couple of teams had their problems and we managed to get back in points. I can assure that coming home in P9 and getting two points by doing that, didn't feel bad at all. This season is about to be consistent and clinching points every time. While having a bad race and still getting a couple of points, is better than nothing. Who knows how important points these two will be in the end of the season? Lotus F1 Team endured a difficult Monaco Grand Prix, with Kimi Räikkönen finishing in ninth position and Romain Grosjean crashing out of the race before the first corner. It was also a difficult race for the strategists with rain looming but never arriving to any significant extent until immediately after the chequered flag fell. Lotus F1 Team are now tied in third position in the Constructors’ Championship with Ferrari. • Both cars started on used sets of red-marked super soft Pirelli P-Zero tyres. • Kimi changed to a set of new soft tyres on lap 29.